The official weigh-ins for “UFC Fight Night 106: Belfort vs. Gastelum” took place Friday in Brazil. 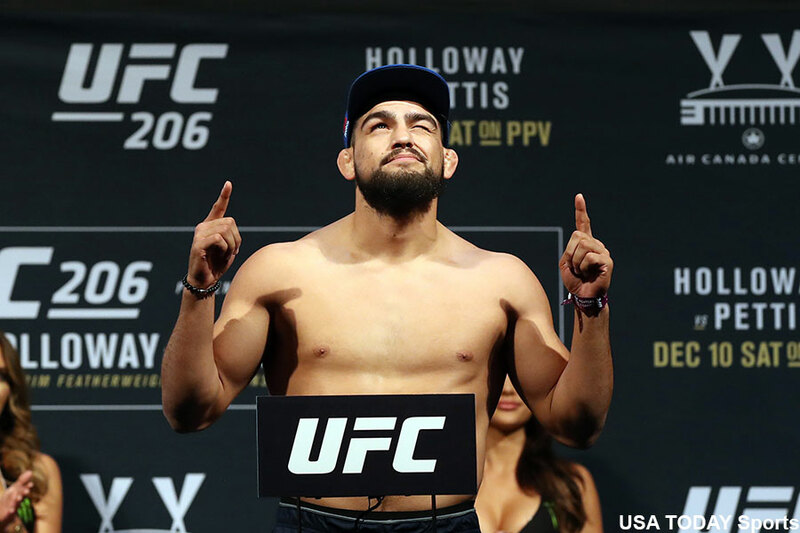 Every athlete hit their required marks on the scale, including Kelvin Gastelum (pictured) and Vitor Belfort, who meet in Saturday’s main event. Centro de Formacao Olimpica do Nordeste in Fortaleza hosts tomorrow’s fights. Fox Sports 1 broadcasts the main card live in America starting at 10PM ET/7PM PT.